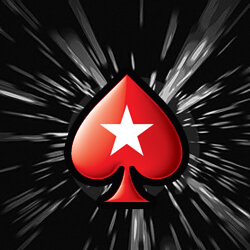 Canadians have been waiting awhile to be allowed access to PokerStars Mobile and now we can. 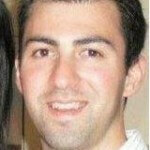 PokerStars just released their mobile apps to the Canadian market as apart of their scheduled “Roll-Out”, which has been going on since January 2012. Canada was one of the last big markets to receive access to the poker app, but at least we can use the apps now. PokerStars Mobile is compatible with every major mobile device, but the app will work better on iPhones, iPads and Androids. In the past few months the apps have gone through numerous updates and now the PokerStars Mobile platform is nearly identical to the desktop platform minus a few poker games and features missing. Poker players will be able to play a wide range of different poker games on the mobile platform at PokerStars. The poker games that are supported on the app now include Cash Games, S&G’s, MTT’s and Zoom Poker. Another nice feature is that the app will allow the ability to multi-table. PokerStars took longer than most competitors to enter the mobile space, but their app is #1 now. PokerStars has been running a mobile promotion the past several weeks that’s about to end tomorrow. Players that have been able to earn 100+ VPP’s will be able to play in the special $100K Freeroll on August 19th 2012. Canadians still have time to earn the minimum number of VPP’s if they start playing now. The top 100 finishers in the special freeroll will also win an iPad 3. In other recent PokerStars news Viktor Blom hasn’t extended his PokerStars Team Pro contract. According to Hollreiser it was a mutual decision between PokerStars and Blom to not extend the contract. Many poker players have been speculating that the main reason why Blom didn’t extend his contract was because he wanted to have the ability to play elsewhere (Full Tilt). Viktor Blom stated that he enjoyed being a PokerStars Team Pro, but that he was glad he could focus on just playing poker now and it should be interesting to see where he ends up playing in the future. Blom has had very poor cash game results in 2012 at PokerStars, but he has focused on tournaments and has done very well including a few big wins. Blom recently won two SCOOP tournaments in a row for over $400K and he also won over $1.25M when he won 1st place in the PokerStars PCA High Roller Event at the start of the year. It was Blom’s 1st major cash in a MTT, but since then he has done well in other MTT’s and I’m sure we’ll see him continue to play in tournaments next year.